The Best Pro, College Athletic Coaches - Who is on your list? Tomorrow will be the grand daddy of all American sporting events - The Super Bowl. 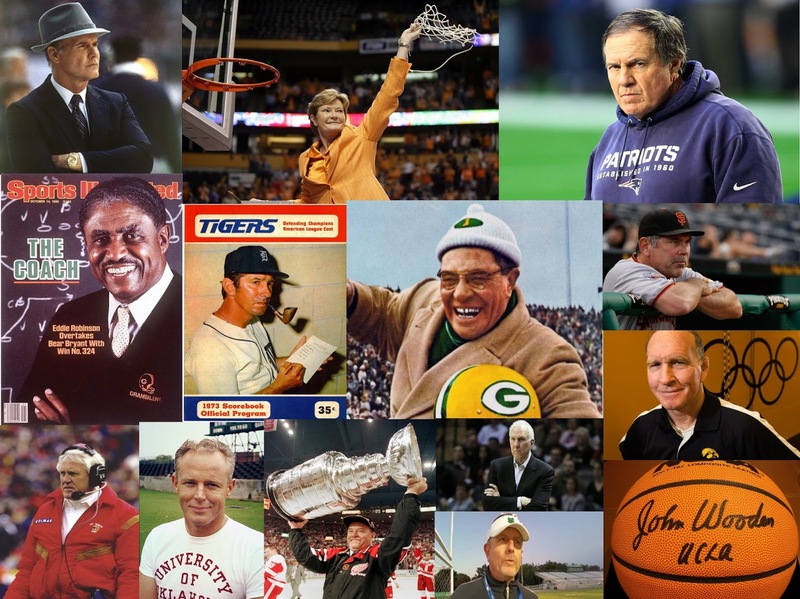 As the event and all that surrounds it enters it 51st edition, we thought it might be a good time to ask a few of our regular readers who are sports fan, who, in their measures, were the greatest college or professional coaches in their lifetime. Below are the lists compiled by some of our readers. Most focused on football while a few strayed into other sports. First, here are a few list submitted without comment. West Texas BlackJack Bourbon - with an obvious football emphasis in order no less. 5. Bud Wilkinson.....University of Oklahoma Football - his record of 47 consecutive victories will be hard to overtake. Scottie Bowman - For most Californians not familiar with hockey and the National Hockey Association, Bowman is to the NHL as maybe Vince Lombardi is to football or John Wooden to college basketball. Bowman holds the record for most coaching wins in the NHL and second most Stanley Cup victories as a coach - 9 - with the Montreal Canadiens, Pittsburgh Penguins and Detroit Red Wings. If you add the Stanley Cups Bowman won as an executive, the total goes to 14. Bill Belichick - In my view, those of us who are watching the Patriots and the National Football League over the last 20 or so years are watching the person who someday, in my opinion, will be acknowledged as the greatest professional football coach ever. He may not be warmest or most approachable person, but he has enjoyed consistent success over a very long period of time. Pat Summitt - In a world dominated by men's sports, Pat Summit proved she was the one of the greatest college basketball coaches, men or women, starting in an era where women's sports were marginalized and not given the resources of the men's teams. Greg Popovich - Like Bellichik above, "Pop" runs his teams with a certain no nonsense code that encourages teamwork. In a professional sport loaded with self-centered players, Pops always has a group of team players looking at the teams welfare, not themselves. Think Tim Duncan. No wonder his teams are always in the discussion about winning championships over a very long period of time. Eddie Robinson - One of the winningest college football coaches of all time, Robinson spent his entire head coaching career at Grambling State University starting in the 1940s during the Jim Crow era. Even more so than Pat Summit, Robinson had very resources to work with but managed to build a college football powerhouse. In the universe of the HBCU's, much less the universe of college football, there was no one whoever came close. Robinson was quoted saying "whatever league you're in, whatever level, win there." That he did. Honorable mentions - This list could easily expand, but John Wooden's success at UCLA is unparalleled and even though I was always a Cowboy hater, there is no denying the brilliant steady hand of Tom Landry. To this day it is unforgivable how Jerry Jones and Jimmy Johnson dismissed Landry. In a strange twist, after his firing, Landry, according to his wife, became a New York Giants fan, with whom he played and coached as a defensive coordinator before become the Cowboys first head coach. Although we asked for college and professional coaches, this list goes down one level and includes a legendary local high school football coach. Nick Sabin - Football coach University of Alabama, Louisiana State University, Michigan State University, University of Toledo, and Miami Dolphins. But will Bama fans love him as much as The Bear? 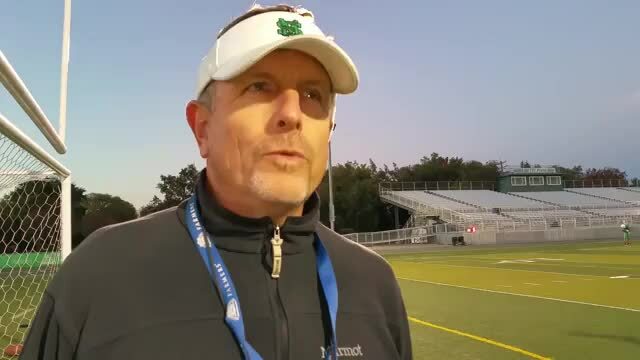 St. Mary's High School in Stockton head football coach Tony Franks. 1) JOHN WOODEN: “The Wizzard of Westwood” won 10 NCAA Basketball Championships in a 12 year span. Hall of Fame as a player and coach. Won 88 consecutive games. National Coach of Year six times. I once explained to him that he retarded my social development as I had to get home by 11pm to see that night’s game on taped delay. Taught success in life to his players, just not basketball skills. 2) VINCE LOMBARDI: His Green Bay Packers won five NFL Championships in seven years and three consecutively, including the first two Super Bowls. Known as a sports pioneer when it came to race and sexual preferences of his players. He just cared if you could play and give 100%. Demanding and motivational. 3) GENO AURIEMMA: Okay, you’ve got to be a serious sports fan to understand this choice. Auriemma is the current coach of U.Conn Women’s Basketball program. His team just recently broke Wooden’s all sport consecutive winning streak of 88 games…and counting. Has led the program to 11 National Championships. Winner of seven Coach of Year Awards. Coached US Olympic team Gold Medal winners in 2012 and 2016. Dan Gable - the great collegiate wrestler, coach of all time. NCAA titles between 1976-97, including nine consecutive titles. As a wrestler, Gable lost only one match in his collegiate career (181-1). Gold Medal winner in ’72 Olympic Games, not giving up a single point. 5) BILL BELICHICK: Everyone hates a winner. Bring it on. Regardless of how you feel about video taping Jets practices or under-inflated footballs, all Belichick does is win. He won two Super Bowls as a def. coordinator for Bill Parcell’s Giants and four more as head coach of the Patriots, one play away from a fifth (thanks David Tyree) and an undefeated season. Six rings is more than anyone in NFL history. Led the Patriots to 14 division titles and 11 appearances in the conference title game, an NFL record, despite a salary cap and free agency. More playoff wins than anyone in NFL history. Only coach to coach in six Super Bowls as a head coach. Only coach to win three Super Bowls in a four year span. 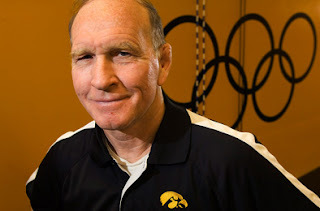 Our occasional contributor Pennywise Beancounter came out of his semi-retirement to contribute their list of greatest coaches. Given Pennywise's thrifty ways, they used an economy of words and got straight to the facts with their list. Joey Roastbeef, the youngest contributor had a shorter lifespan from which to choose, nonetheless, in the last 20-plus years there has been a bumper crop of great coaches. Mike Krzyzewski is second only to John Wooden in Men's NCAA basketball championships. 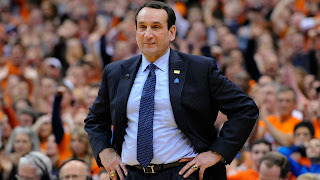 Mike Krzyzewski - How many coaches other than John Wooden have won 5 national championships in college hoops? Bill Belichick - its a toss up for number 1 between Pop and Belichick, but the advantage goes to Bill simpy for the sport. There is simply more variables in football and the Hoody has had levels of success very similar to Popovich in a sport that's harder to coach. However, the reason these two are so good is because they have both experienced success over long periods of time, not simply one hit wonders. In the spirit of the Super Bowl and football, our final list comes from Skip Bishop who lists his top five - all football! Is “greatest” defined by Super bowl wins (the obvious measuring stick), developing future head coaches (coaching trees), innovation on one or both sides of the ball, success at multiple levels? After grappling with this for a few days, I think the answer is any one of the above, or other, measuring sticks can define greatness in its own right. One caveat: With all due respect to Weeb Ewbank, Vince Lombardi, and Hank Stram, these are coaches I’ve seen in my lifetime. 2. Bill Belichick (Winner, Winner, Chicken Dinner): Who would have thought after being kicked out of Cleveland that Belichick would lead his future team to 7 Super Bowls winning 4, and maybe 5 at some point on February 5? (Agenda Alert: I don’t give the Patriots credit for the 2001 championship because they clearly cheated by taping the practices of my former beloved St. Louis Rams.) No other coach has had a 17 year run like Belichick has had with the Patriots. 15 years in the playoffs, including the last 8 seasons, and no lower than the Conference Championship game over the last 6 years. Hate the Hoodie all you want (and I do), but you can’t deny that he is a winner. 3. Pete Carroll (Just Grind, Baby! ): Carroll is one of three coaches that has won a College Football National Championship and a Super Bowl. His ability to be successful in completely different environments comes from his coaching upbringing (see No. 1). Carroll also possesses the unique combination of being a workaholic while possessing a child-like enthusiasm for the game – a combination rarely seen in successful (key word: successful) head coaches. 4. Tom Landry (The Professional): All football fans of my generation knew Landry’s trademark Fedora. That look on the sidelines was impressive even to Dallas Cowboys haters like me (at the time I was a St. Louis Cardinals fan). But Landry is much deeper than a hat. How many people know that Landry is credited with creating the 4-3 defense? (That’s pretty innovative but the innovator award goes to No. 5 because Landry also won Super Bowls.) More impressive are Landry’s 2 Super Bowl rings, numerous playoff appearances, and 270 wins (third most of all time). Offense that now dominates football on all levels of play. 5. Don Coryell (The Originator of the “West Coast Offense”): Talk about being ahead of your time. 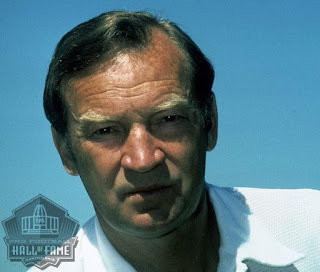 Coryell made teams cringe when facing his “Air Coryell” (the original West Coast Offense – Sorry Bill Walsh) system. “Air Coryell” was a vertical stretch scheme that used 5 receiver sets, included excessive motion, and took advantage of rule restricting contact with receivers at the line of scrimmage. Amazingly, there were no set formations in Coryell’s system – receivers lined up wherever they wanted to. The system also introduced the NFL to the extremely athletic tight end. Coryell’s tight ends were essentially large men possessing wide receiver speed (see Kellen Winslow). Oftentimes overlooked was how successful running backs were in Coryell’s system. Terry Metcalf (St. Louis Cardinals) and Chuck Muncie (San Diego Chargers) were extremely successful running backs in Coryell’s system. Coryell was also the first head coach to win 100 games at the collegiate and professional level. I say that makes Coryell great even if he never made it to a Super Bowl. Just missed the cut: (All are great in their own right so this isn’t an indictment on their ability. I just didn’t have time to put out the top 10 (or 15) greatest coaches of all time. Maybe for Super Bowl LII.) Don Shula, Chuck Noll, Joe Gibbs, Marv Levy, and many more.